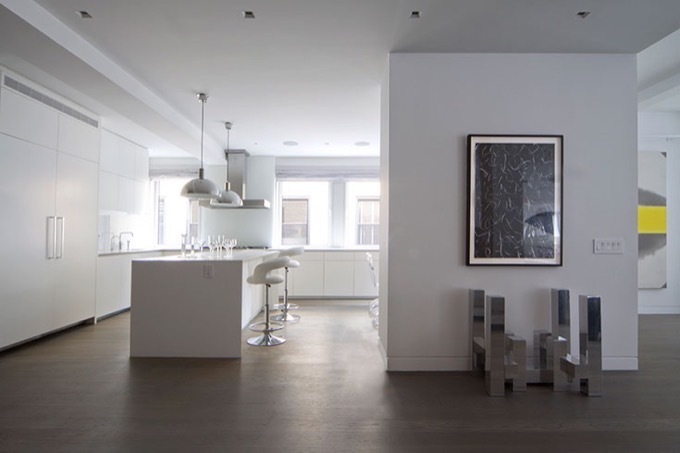 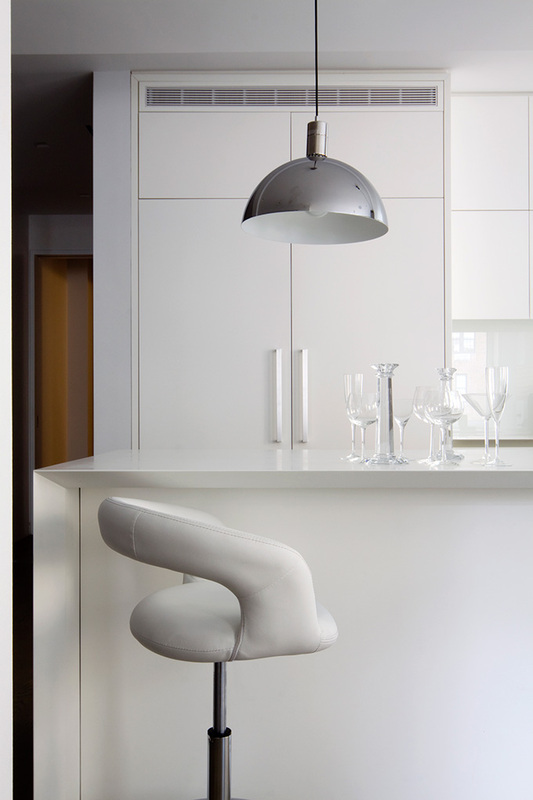 We were presented with the challenge to design a space that could accommodate a family of eight in a New York City duplex. 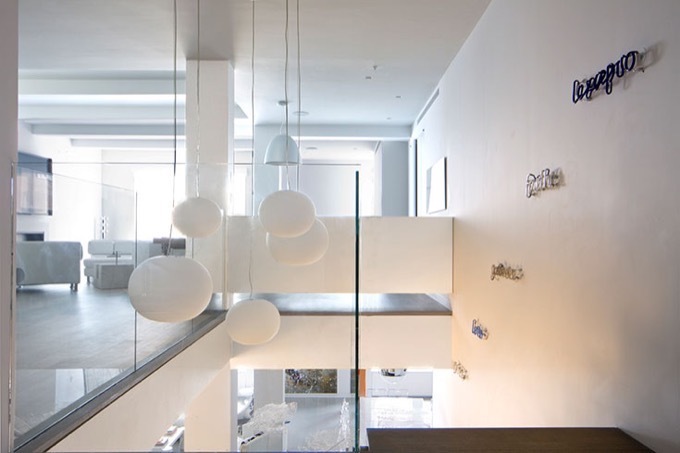 Our concept was to create compact, yet comfortable bedrooms and bathrooms, and dedicate openness and spaciousness to the common areas. 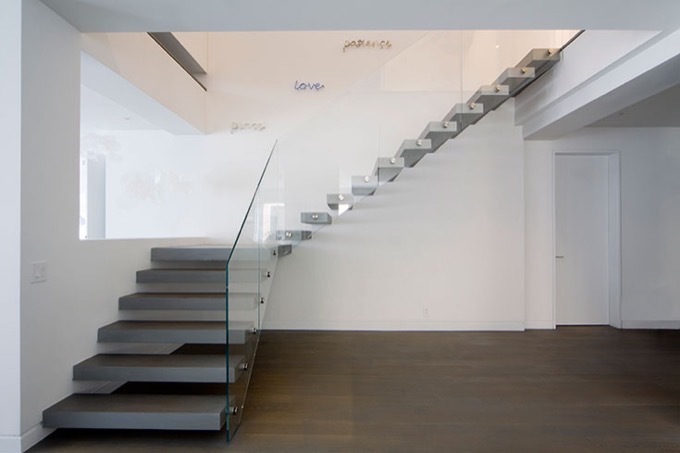 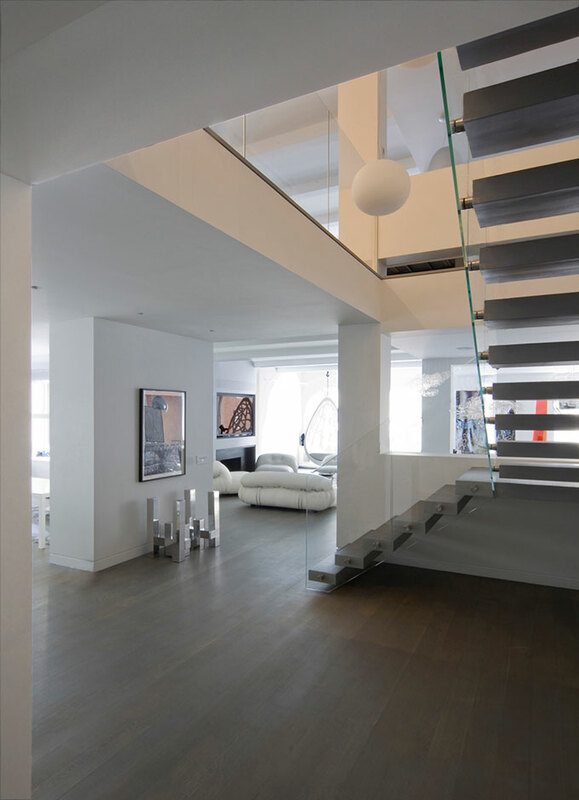 The result was a visually uninterrupted loft space on 2 floors connected by a cantilevered open stair.